Being in the business for almost a decade now has allowed ResumesPlanet.com to become a highly reputable company that provides people with professional resumes and affordable pricing. The offer resume and CV assistance for everyone looking to find a job, starting from entry level to manager level. Let’s see why they are so popular among people. The main focus of Resumes Planet is on resume and CV writing, but they also help customers with cover letter writing, editing services and even LinkedIn profile set up. This last service holds extremely high importance since many employers check out LinkedIn profiles before hiring people, and yet, this is one of the very few services who offer such assistance. The editing services listed in their Services page includes both CV and resume editing, which means that the company also takes already written content and transforms them into professional resumes and CVs. The limited number of services offered by this company has allowed them to become experts in helping people get the job they want, which is how they have crafted a wide range of packages people can choose from depending on the job they want. The ‘Prices’ section lists the cost of services ResumesPlanet charges their clients. A five-day deadline comes with a price of $139.00 per resume writing, while a 24-hour deadline comes at a price of $189.00. As you can notice, prices depend greatly on the deadline, which means customers can enjoy cheaper prices if they order a resume with a longer deadline.As for their discount policy, there is a ‘Discounts’ page. 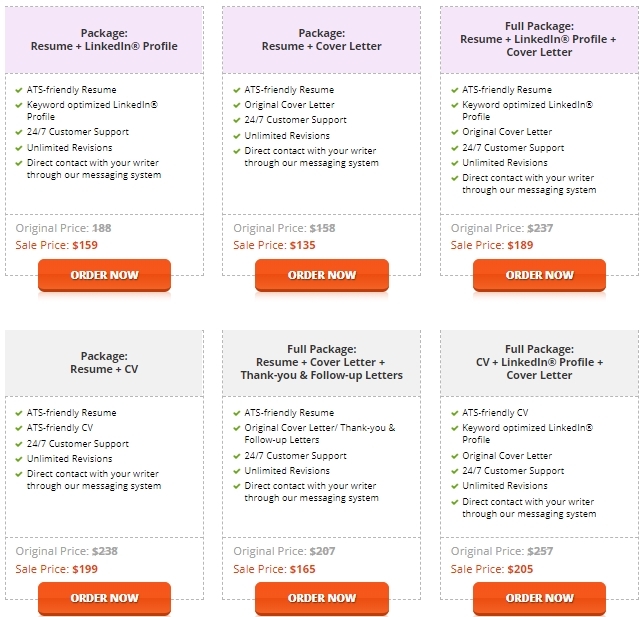 Additionally, you can find package discounts in the ‘Prices’ page, such as 20% discount for a full package of resume+ cover letter + thank-you/follow-up letters. The company also offers seasonal discounts that can be found on their homepage and free features such as interview tips and revisions for up to 30 days. Other features come at extremely low prices, such as $1.95 for a list of international recruiting agencies and $4.95 for e-cover letter writing. Most often, customers opt for their packages since they include most of the additional features and come with great discounts that range up to 25%. All feedback online points to the conclusion that this is truly a quality service. 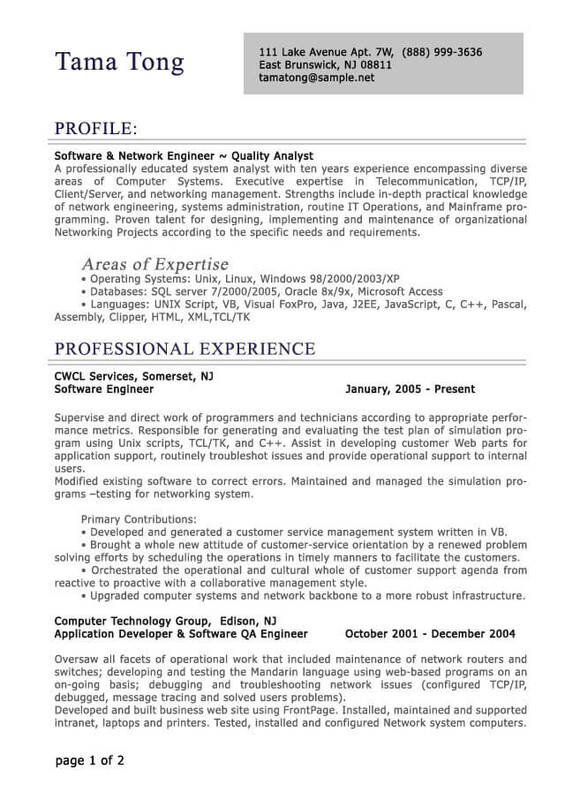 This was also our experience with the service, since the resume we got from resumesplanet.com was of high quality. It captured all important information, was properly formatted and would definitely attract the attention of an employer. We decided to opt for the Full Package option that combined a CV + cover letter + thank you letters. What we got was a reduced price of 25%, which means that we paid only $169.95 for the entire application. What we liked most was that the company offers a revision of your resume if you are not called for an interview in 30 days after sending out your job application. Furthermore, resumesplanet.com guarantees on-time delivery, 100% satisfaction and the expertise of real professionals on every order made with the company. The support system of the company works impeccably. We have contacted their 24/7 live chat and got a prompt and friendly answer from a representative. Other than this, customers can reach the agents on the toll-free UK and US number, as well as via the e-mail address provided on the website. Overall, Resumesplanet.com is a legit and highly professional service. Their pricing is realistic and customers can enjoy big discounts if they opt for one of the packages. The customer service is highly effective in helping customers with any question and concerns, which makes this company one we can definitely recommend to those in need of resume writing assistance. This was the first time I am using resumesplanet.com. My friend recommended it and I must say, they did a great job with my cover letter and resume! I had a tight deadline, so I had to pay a higher price, but still, Resumes Planet is one of the cheapest companies I found online. ResumesPlanet is my favorite service. I’ve tried so many companies before, but this is the one resume writing service that I actually liked. All they did was request my existing resume and they did all the job for me. The best of all is, their pricing is great! Happy for your positive experience. Thanks! I liked resumeplanet. It has a nice website design and the quality of papers is solid. Perhaps they could lower the prices a bit, but otherwise, I was happy with my resume. Bryant, thanks for the feedback!